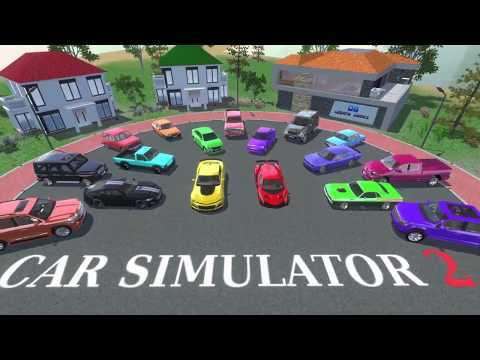 Note: Move your downloaded data to folder /Android/obb/com.oppanagames.car.simulator. Race by your own rules! Let&apos;s go! - A fun, free-to-play game that&apos;s a blast to play. - Online and single-player modes. - Daily bonuses and quests. - Fully detailed car models. - Drive from a first- or third-person perspective. - Lots of interactive elements in the car models. - Realistic physics and sounds effects. - A mechanic with lots of upgrade options for your cars. - Exciting missions in the form of quests, arcade challenges, and races. 2. Don&apos;t go too fast in the city - drive carefully. 3. Watch out for the cops - they&apos;ll give you a ticket if they catch you speeding. 5. Don&apos;t forget to gas up your car at the gas station.